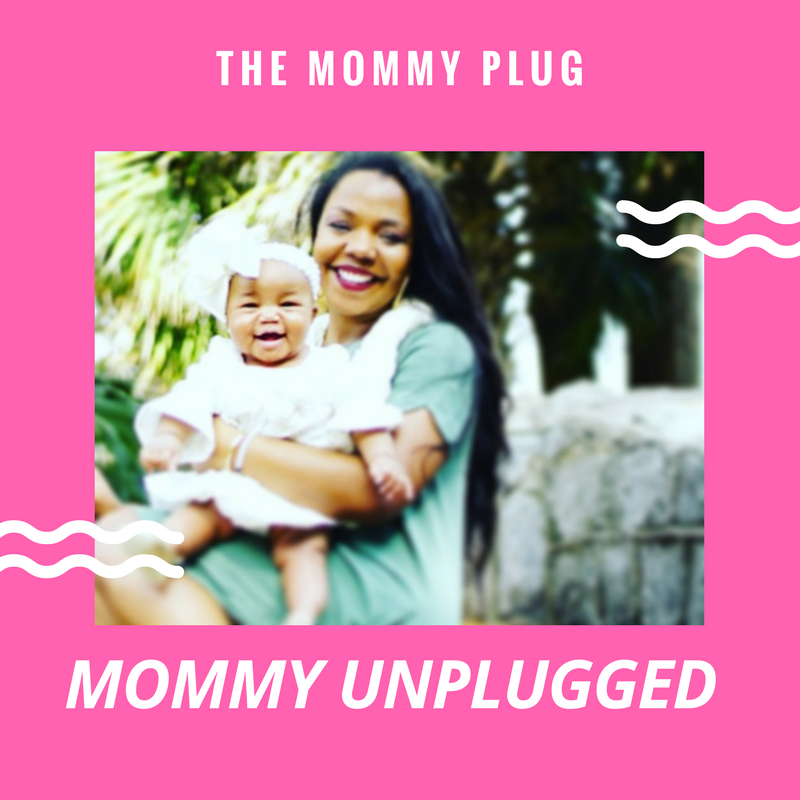 I'm back with another Mommy Unplugged Feature! Today we're featuring The Dancer Mom & a close friend of mine! She's a former NBA dancer turned Mommy of her beautiful baby girl! Read below to see how she manages her time and sanity with a 1 year old baby girl! You’ve been a mom for an entire year now. How is the 1st year of “motherhood”? I would have to say it’s been quite the experience. In the beginning I was that nervous, antsy, everything has to be perfect mom. I was always tired, constantly ripping and running, and felt like I couldn’t get a grip on how to manage and balance life. Then one day I realized my daughter didn’t even care whether or not her wipes were warmed or if she had organic homemade applesauce, so why was I doing the most? She was happy either way as long as she knew she was loved and that’s all that mattered to me. This first year was definitely a huge learning experience for myself and baby girl but it has also been extremely rewarding getting to see her reach all of her major milestones thus far as she continues grow and prosper each day. Coming home to that smile lighting up the room as I greet her in the evenings is one of the best feelings in the world. Knowing she is loved, she is healthy, she is happy, she is me. How do you manage your time with a 1 year old? This is probably one of the hardest things for me. I feel as though there is never enough time in the day to get everything done. Prior to having my daughter, I can’t lie, I would procrastinate and wait to the last minute to get things done. This is no longer, or I would be a total basket case! LOL - Im not the most organized person so being on a “schedule” doesn’t really work for us but getting everything together the day/night before really helps with making sure our next day will run as smoothly as It can. I also have a lot of assistance from my family and friends so that’s a huge help! Whats your biggest frustrations as a mom? Mmm…I would have to say my biggest frustrations are just the little struggles that I encounter every now and then- more specifically on a financial level. But never the less, where there is a will there is a way. I provide and guide for Keller the best way that I know that I can and make sure all of her needs (and some wants) are fulfilled no matter what it entails. How do you release these frustrations? What has changed mentally/physically/spiritually for you in the 1st year? Since I have had Keller, my thought process and views have changed quite a bit. It’s no longer about only me, but how my decisions affect both myself and those around me, especially my daughter. I have to think about her, how things will affect her, and how will this affect our future. It’s all about thinking further and not just for the moment. Physically, my body has COMPLETELY changed in this first year. Prior to having Keller, I danced professionally and worked out quite often so I was pretty in shape lol. While pregnant, I gained around 65 pounds and my belly was HUGE! After birthing a very healthy 8lb baby, recovery was going well until I realized that 6 months post I still looked as though I was 6 months pregnant. It was then I was informed that I had some abdominal separation and an umbilical hernia had formed through where my abdomen had split. This really took a toll on me mentally because I hated the way I looked. I would only wear large baggy clothes in hopes to avoid the questions of “Are you expecting? How many months are you?” only to answer with “ My daughter is [insert number of months] – Thanks you though” with an awkward fake smile. I have since then had surgery to remove the hernia and correct my abdomen wall. I am still on the road to a full recovery; however, my insecurities have subsided tremendously. I have always had a great relationship with God and every year I feel my Faith grows stronger. I am a strong believer in having Faith, letting go and letting God. I have had to remind myself of this motto quite often since the birth of my little one but the Lord never fails me. That is one thing I am for certain. I pray that I can continue to instill that Faith into my daughter and that God continues to watch over her and the rest of my loved ones as He has. Let me start this post off with a scripture because it's so relevant and may be a WORD to someone else. It's the story of Abraham and his son. "Then Abraham looked up and saw a ram caught by its horns in a thicket. So he took the ram and sacrificed it as a burnt offering in place of his son." My husband has been quoting this scripture since the day I met him "God's always keeping a ram in the bush". This means that God is always looking out for us when we may least expect it. For example, we went into BabiesRus to buy diapers for 1 kid and left out with 2 boxes of diapers. We only paid for one (a nice lady gave me her baby shower diapers that she was unable to return at the store). You never know the powers of God until you fully trust him with everything instead of believing that you have the power to fix it all. So if you are following me on Instagram or Facebook you know that I am launching a Online Women's Boutique. So you're wondering..."where does she have the time to do all of this, work, blog, be a mom, and a wife..?" Lol! Multitasking + Time management it's so important when being an adult and a mom. Since I became a mother I'm constantly thinking about the legacy that I will leave for my kids. Not just words of wisdom but a true LEGACY. I want them to be financially aware and financially stable without having to worry or forced to work 2-3 jobs in college while trying to earn that degree. 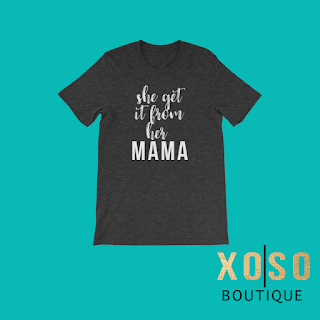 XOSO means Hugs & Kisses Savannah & Olivia -- My girl Meg threw it out there when I was looking for a name for the online boutique and I FELL IN LOVE. My daughters are my mini-mes and everything I do is for them. I dedicate this blog and this store to them to show them that their ideas are GREAT and can be ACCOMPLISHED. 1. Hardly Home: I love reppin Louisiana because there's so much culture and meaning behind so many songs or sayings. 2. Wifey: Since I've became a wife -- I'm PROUD of my marriage. Yes marriage is hard but so is anything else in life that's worth working for. There's nothing like it and I wouldn't trade it. 3. Gameday: I LOVE FOOTBALL SEASON! And I love cute clothing to wear for football season. 4. 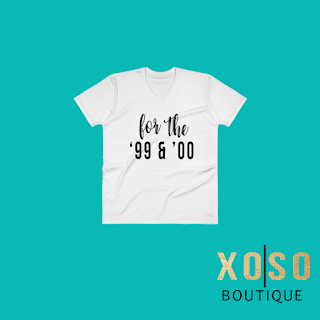 Just chill: For days when I need to run errands, throw on a tee + workout tights. All 4 of these collections I feel that can resonate not just with moms or Louisiana natives but with any woman. Women that want to feel comfortable in their skin or that want to dress up with tshirt + jeans + cute pair of heels. Recently I've noticed clothing in the mall and online that I just can't relate to. So I thought "why not create my own lane"
It's a fun little saying that rolls off the tongue so naturally. "Girl where you get them HIPS from?" She get it from her mama! DUH! Everyone has heard this song atleast ONCE before. What's the first dance move you bust? 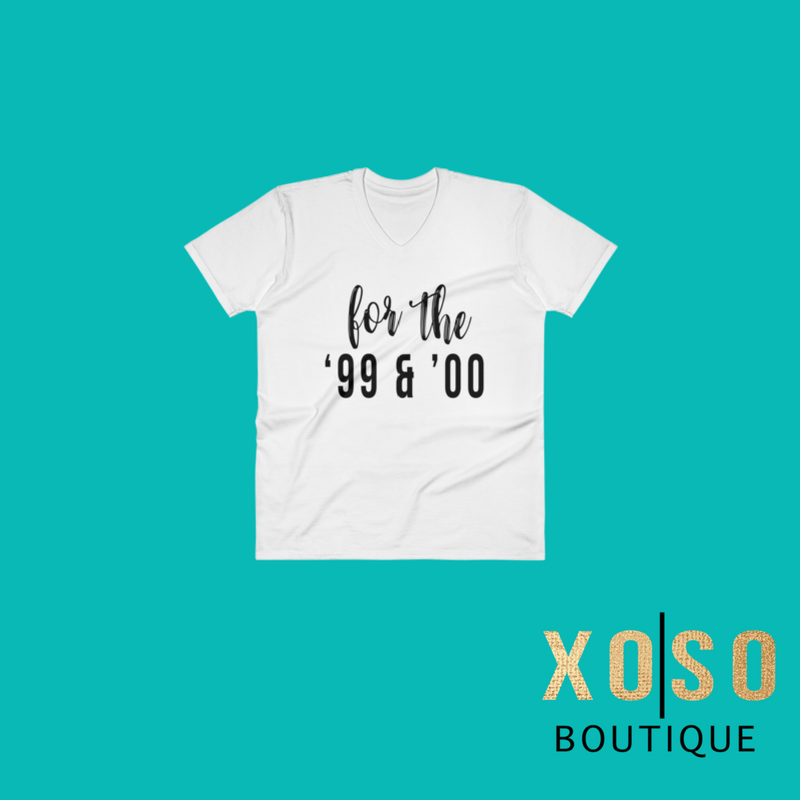 This shirt is super fun & just reminds me of all the great times I've had with my friends.